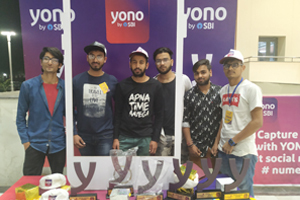 The student of third year CSE( Ujjwal Sinha, Arjun Rathore, Vijay Shyam, Ranjeet, Narendra Sevda and Viren) won the ‘SBI Numero Yono’ Quiz competition held at MNIT, Jaipur on February 28,2019. The first round was Pre-elimination round. The second round was Buzzer round. 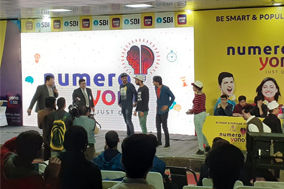 Questions were asked by the quizmaster and Audio tracks of famous personalities were played and the teams had to name the personality by recognizing the voice. This round was followed by Digital round. The participants in each team were given questions and also shown pictures of famous places and personalities which they had to recognize and name correctly.